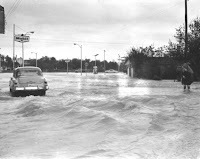 Hurricane Beulah is still recognized as one of the most significant storms to make landfall in South Texas on September 21, 1967. ‘Community Response to the Hurricane Beulah Crisis in the Rio Grande Valley’ is a project that highlights the effect of Hurricane Beulah on healthcare in South Texas. This traveling exhibit will be available at the Rio Grande City Public Library during library hours Monday –Thursday from 8:30am – 7:00pm and Friday from 8:30am – 5:30pm, located at 591 E. Canales Bros Street. Please join us for a reception and exhibition hosted by the library at 6:00pm on August 18, 2011. We encourage you to attend and if you have a story to share, please contact Norma Gomez Fultz, director at 956-487-4389. Hurricane Beulah caused extensive flooding on both sides of the U.S.-Mexico border. To escape the rising floodwaters, over 14,000 refugees from Camargo, Tamaulipas crossed the border into the small towns of Roma and Rio Grande City, Texas. The refugees were in desperate need of food, shelter, and medical care. It was in there that Dr. Mario E. Ramirez, the only physician in town and Starr County’s Public Health Service Director, rose to action in the face of a crisis. A packaged disaster hospital was set up on the grounds of Fort Ringgold by the U.S. Public Health Service to care for victims of Hurricane Beulah. For several weeks, Dr. Ramirez along with volunteers from the local community, UT Medical Branch in Galveston, Santa Rosa Hospital in San Antonio as well as the U.S. Army worked to help the hurricane victims. In 2007 the Library at the UT Health Science Center Regional Academic Health Center in Harlingen was named for Dr. Mario E. Ramirez. The Ramirez Library subsequently received materials from his personal archive and library. These are a rich collection of photographs, letters, and documents. 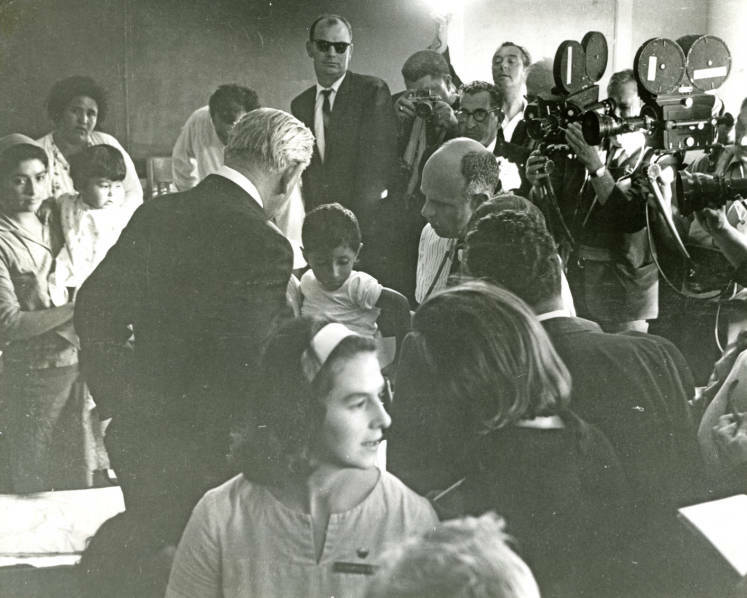 Many of the materials donated by Dr. Ramirez are related to Hurricane Beulah, including 139 photographs and 185 pages of letters, newspaper clippings, and personal journal entries. The photographs were taken by George Tuley, a Rio Grande City teacher, who would later go on to a 39-year career as a photojournalist at the Corpus Christi Caller-Times. This project has been funded in whole or in part with Federal funds from the National Library of Medicine, National Institutes of Health, Department of Health and Human Services, under Contract N01-LM-6-3505 with the Houston Academy of Medicine-Texas Medical Center Library. Special thanks author Emily Hurst and guest author Kathy Carter, MLIS Medical Librarian, Mario E. Ramirez, M.D. Library.